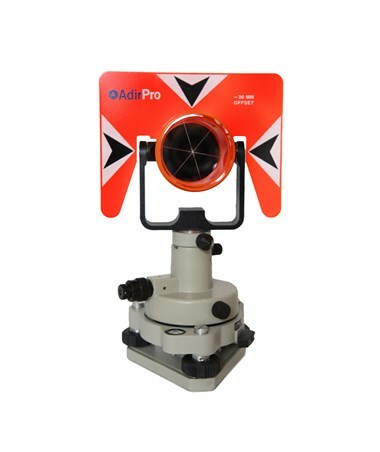 The AdirPro Single Prism Traverse Kit 2159-01 is an essential package for precise backlight surveying applications. 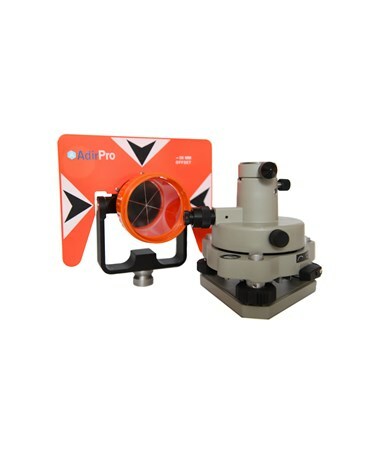 Its silver-coated canister protects the 62mm diameter prism which has <5 arc seconds accuracy. 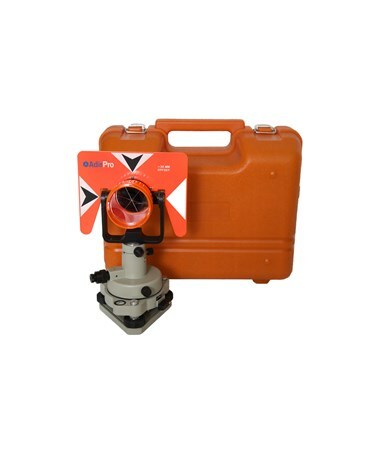 The tilt target can be reversed and adjusted to 0, -30 and -40 millimeter offsets. And, its attached sight collimator enhances precision when aiming. 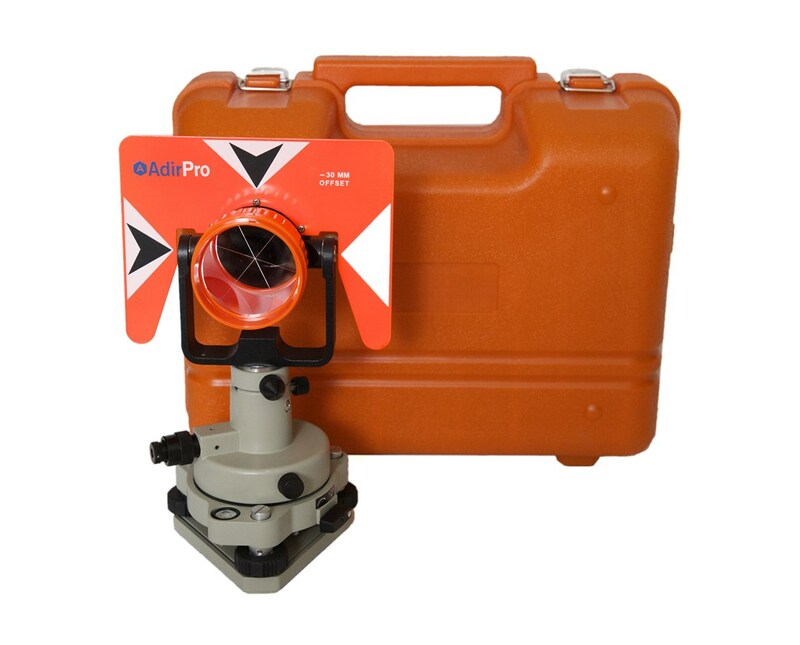 This kit includes a 360 degree rotating tribrach adapter that can be mounted on prism poles with a 1-inch base. The optical plummet features a 2.5x twist focus and an adjustable plate vial. There is also a tribrach with an 8-minute circular vial and 5/8 x 11 threading. 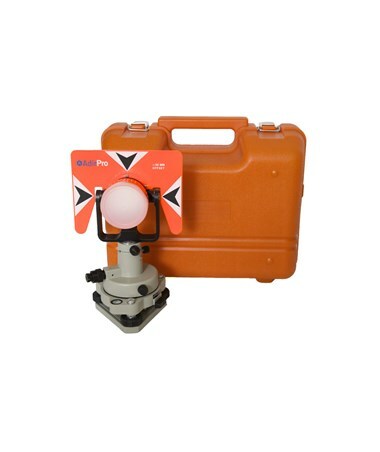 You have the option to purchase this kit with or without the prism. The Single Prism Traverse Kit comes with a carrying case and a 1 year limited warranty.